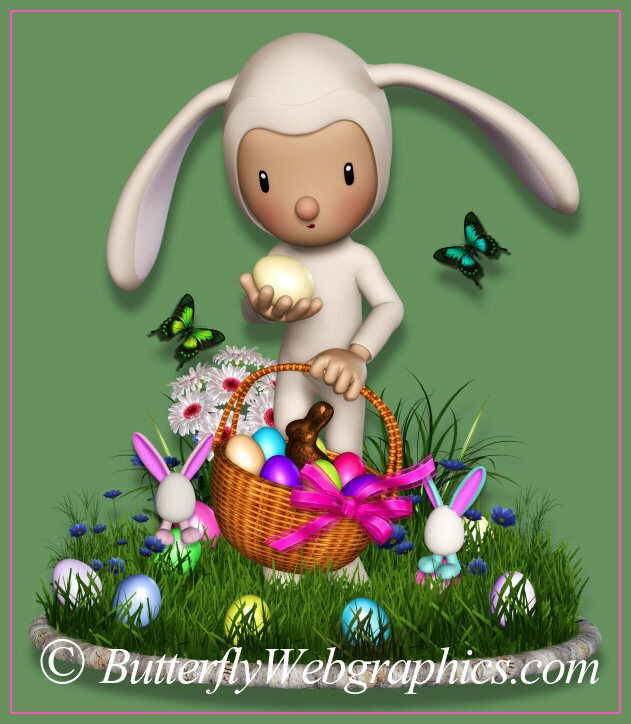 A graphics collection of cute bunnies on an Easter egg hunt. The actual images have no drop shadow. with these cute Easter characters. A package of the Cutest Bunny graphics. Meet some adorable little bunnies who are out on an Easter egg hunt. They hold the spirit of the season and will bring you some springtime sunshine. 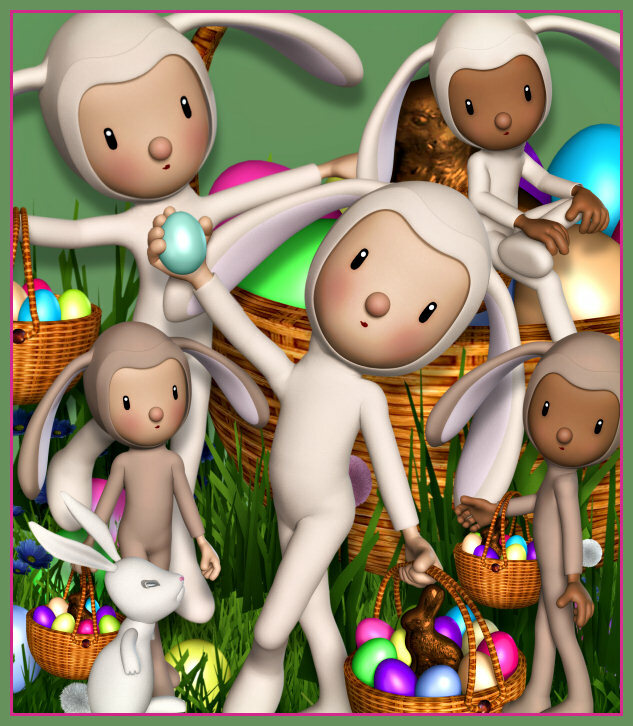 This package has several bunny characters, including an ethnic version, some Easter baskets, grass, and some grassy stands (grassy version of the stands I used in myLeprechaun Gold St. Patrick’s Day package). The finished design, along with an ethnic version, shown in the first promo image are also included. The seamless background tile on this page is included in this package, including a version with a transparent background that you can use to flood-fill an image. 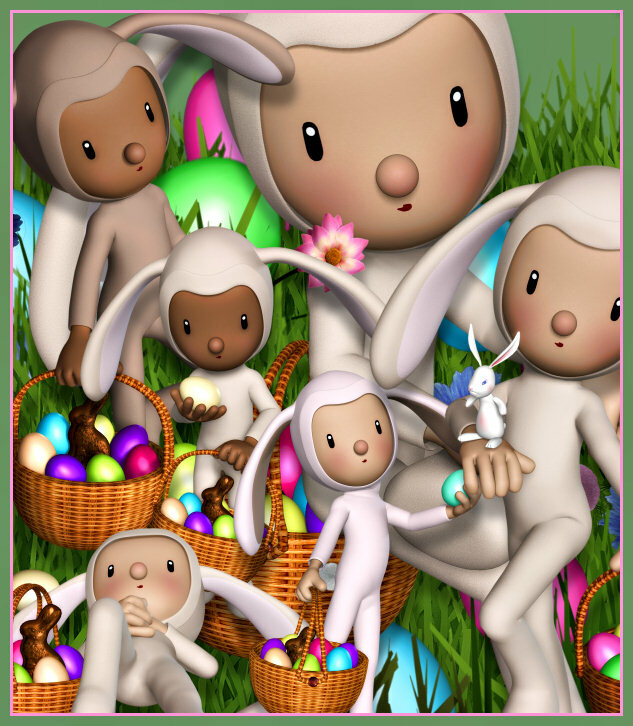 The size of these images varies, but most of the bunny characters are approximately 1600 X 2000 pixels. All are 300 DPI, making them great for print projects. This package is three zip files, which are approximately 24-34 MB each. Members, use the links below to download this package now!